Brexit remains the largest concern for small businesses in 2018, as uncertainty remains over whether a deal of any sort will be reached by the March 2019 deadline. 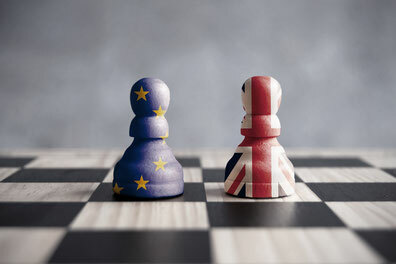 Uncertainty surrounding the deal remains the biggest issue, with existing arrangements for exporters and importers under threat. Sectors, such as construction, are heavily reliant on migrant workers are ever increasingly worries about the lack of clarity over the next few years. GlobalData’s 2018 UK SME Insurance Survey found that over a third of respondents (36.8%) stated they were either concerned or very concerned about Brexit. This indicates there is a sizeable market for insurers to include cover for losses as a direct result of Brexit in their business policies in the short term. AXA’s Brexit cover also came with free legal advice. GlobalData’s report: ‘UK SME Insurance: Distribution Dynamics 2018’ found that access to free legal advice was both the most received and yet still the third most wanted add-on for small and medium-sized businesses. Mario d'Aragon, Managing Partner at TML Venture Ltd, says the uncertainty has been good for business. "Financial Turmoil since the Brexit vote is an opportunity. The pound has been depreciating. My exports to Continental Europe are doing fine. There are investment opportunities around the uk thanks to the Brexit incertitude: pay low and sell high. Brexit gave me a good excuse to go ahead with restructuring my business...but panic does not help business. My activity is suffering because consumption is stagnating. Lets wait and see what happens." What are your thoughts on legalities over the Brexit uncertainty period? Is it worth getting advice now, or is the constant unpredictability of the situation favouring small businesses to take more of a wait and see approach.